TVN is the leading broadcaster in Poland, a part of Discovery, Inc. (Nasdaq: DISCA, DISCB, DISCK), the global leader in real life entertainment, serving a passionate audience of superfans around the world with content that inspires, informs and entertains. Discovery delivers over 8,000 hours of original programming each year and has category leadership across deeply loved content genres around the world. Available in 220 countries and territories and 50 languages, Discovery is a platform innovator, reaching viewers on all screens, including TV Everywhere products such as the GO portfolio of apps and Discovery Kids Play; direct-to-consumer streaming services such as Eurosport Player and Motor Trend OnDemand; and digital-first and social content from Group Nine Media. Discovery’s portfolio of premium brands includes Discovery Channel, HGTV, Food Network, TLC, Investigation Discovery, Travel Channel, Turbo/Velocity, Animal Planet, and Science Channel, as well as OWN: Oprah Winfrey Network in the U.S., Discovery Kids in Latin America, and Eurosport, the leading provider of locally relevant, premium sports and Home of the Olympic Games across Europe. For more information, please visit http://corporate.discovery.com/ and follow @DiscoveryInc across social platforms. TVN - a leading television channel on the Polish market, offering high quality entertainment as well as reliable and impartial news bulletins. TTV – a television channel offering news, commentaries and social interest documentaries, available in cable networks, on digital platforms and within DTT. TVN7 is a television channel which shows feature films and television series. Metro is a channel offering Polish and Hollywood blockbusters, binge-worthy crime and drama series, and fascinating documentaries. The station is available free of charge as part of digital terrestrial television as well as from cable and satellite operators. TVN Style is a television channel for women which focuses on beauty & health issues, lifestyle, and fashion. 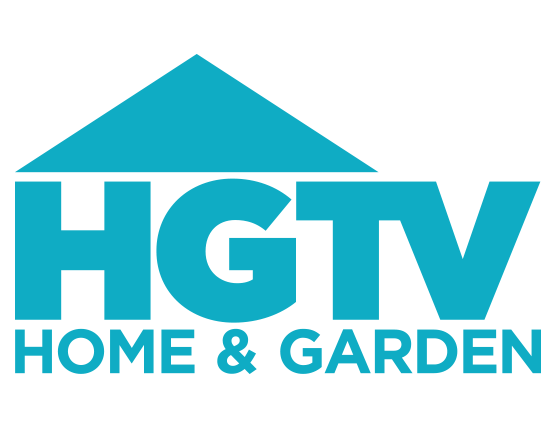 HGTV Home & Garden delivers the superstar experts, fascinating families, compelling renovations and stunning transformations that make all things home fun. TLC is a channel for women who are entertained and inspired by real life stories, often bold and controversial ones. This women’s interest channel arouses curiosity and makes it possible to watch people one does not encounter on an everyday basis. 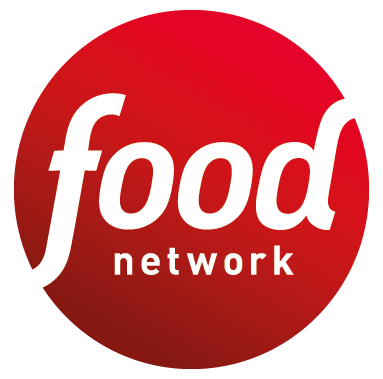 Food Network is a channel for all those who love cooking and appreciate excellent entertainment. It allows viewers to travel in search of new flavours, obtain inspiration and acquire knowledge about cooking. Travel Channel is a rapidly developing station making travelling easier, and the world more accessible. It shows viewers that beautiful places are not important in themselves, but become important thanks to the people that create them. Martyna Wojciechowska is the face of Travel Channel in Poland. TVN Turbo is Poland’s first thematic channel for men and the first to be devoted primarily to motorization. Discovery Channel is one of the most widely distributed channels in the world, as well as the leader in the factual entertainment category. It shows the diversity of the world around us in a modern, dynamic and interesting way. Discovery Science is a channel showing how science and technology influence our everyday lives and the role they may play in the future. The station’s line-up includes programmes about environmental protection, state-of-the-art engineering, as well as the biggest natural disasters and catastrophes, but also well-known pop-science series. Discovery Historia is a channel which proves that history is an exciting and multifaceted field. The station’s line-up includes Polish and foreign productions, classic documentaries, as well as contemporary re-enactments. Discovery Life is a channel that focuses on exciting moments in the life of the protagonists and of their families. Some flavour is added by cooking shows, and some thrills by the evening paranormal slot. Animal Planet is the only television dedicated entirely to animal life. Top quality programmes take viewers to the world of non-directed nature, whose protagonists include both the fiercest predators and household pets. DTX is a channel targeting a predominantly male audience. The productions shown on that station take viewers to a world ruled by speed and adrenalin, with a substantial addition of “high octane” thrills. ID is a documentary thematic channel dedicated to police investigations and crime. TVN Fabuła features an extensive offer of blockbuster movies and popular TV series from TVN’s portfolio as well as daily original shows for cinema lovers. TVN24 is the first Polish round-the-clock news channel. TVN24 BIS is a news channel with a strong focus on business and international affairs. Eurosport is the number one among fee-based sports channels in Poland and in Europe, providing thousands of hours of broadcasts of key events in over 120 disciplines. ITVN is a channel targeted at Polish viewers living abroad, available in Europe, North America and Australia. ITVN Extra is the second TVN’s channel dedicated to Poles living abroad. The channel’s programming offer includes entertainment, lifestyle, business, foreign and public affairs. NTL is a local TV channel addressed to the residents of Radomsko and environs. tvn.pl – everything on TVN in one place. Contains information about popular series, programs and TVN’s stars, as well as show-business news featuring fashion, beauty, cinema and entertainment. Gives ongoing access to full episodes of the most popular shows and series. player.pl – video-on-demand platform, enabling online access to extensive collection of TV series, shows and programs. Currently, its library consists of 15k items, including materials produced exclusively for player.pl. Player.pl is available on mobile devices operating on Android, iOS or Windows, Sony PlayStation consoles, TV-sets of the leading producers and on the new generation nc+ TV, as well as to T-Mobile, Netia and Toya subscribers. tvn24.pl – news portal with the largest video library, effectively combines text and video. The leader in its category. tvnmeteo.pl – state-of-the-art weather portal in Poland, created by professional editors, Internet users and viewers interested in meteorology. Provides weather forecasts for over 80 thousand locations nationwide and worldwide. tvnwarszawa.pl – a media website dedicated to Warsaw and its residents. Focuses on life in the capital of Poland, providing high quality news and entertainment. Kontakt24.pl – an Internet service promoting the idea of civic journalism. Provides its users with a true influence over the content of TVN24 and the TVN24.pl portal. Advertising Office, TVN Media Sp. z o.o. – the largest advertising brokerage office in Poland, offering state-of-the-art communication on TVN channel, channels included in the extensive portfolio of Premium TV as well as the richest offer of quality online video. The office was set up by a team of bold professionals who create unconventional solutions for their customers. Premium TV offers thematic channels and DTT aimed at demanding target groups desired by advertisers. Represents broadcasters such as TVN, Telewizja Puls, 4Fun Media, Viacom International Media Networks, Canal+ Cyfrowy, and the Walt Disney Company, Discovery Network, AXN Europe Limited, FOX International Channels and Telestar (iTV). Agencja TVN – produces and distributes news materials for customers in Poland and abroad, renders TV production and broadcasting services. Offers the most extensive range of services in Central and Eastern Europe. TVN is a member of European Media Alliance. TVN (Poland), Modern Times Group (CEE), ProSiebenSat1 (Germany), Antenna Group (Greece), Channel 4 (Great Britain), TF1 (France), Antena (Romania), Mediaset (Italy), Telecinco (Spain). The aim of the alliance is to identify new investment opportunities in the rapidly developing Digital & e-Commerce sector in the international environment, to support the companies planning to expand to European markets, to systematically share knowledge and experiences related to the implementation of innovative solutions in the media as well as to provide for a joint representation of interests in relations with external partners. Fundacja TVN “nie jesteś sam” lends support to people suffering from incurable diseases requiring expensive therapy. Fundacja TVN also offers financial assistance to hospitals, orphanages and rehabilitation centers, covering the costs of renovation of their premises and purchasing medical equipment and ambulances. The activities of the foundation’s office are fully financed from a donation made annually by its founder – TVN S.A.